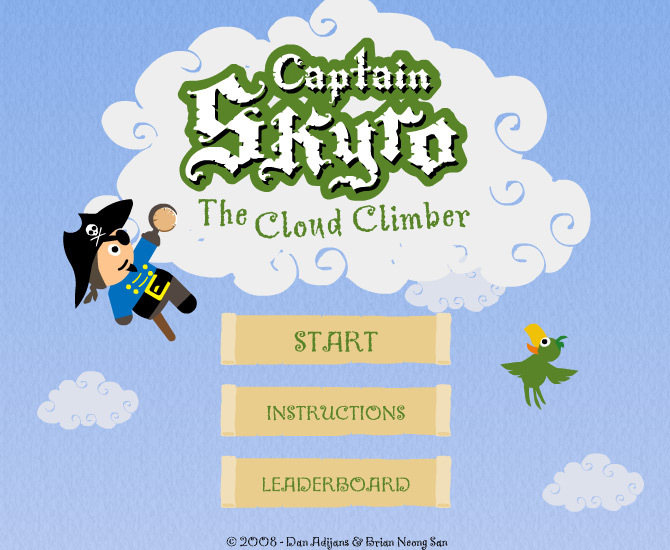 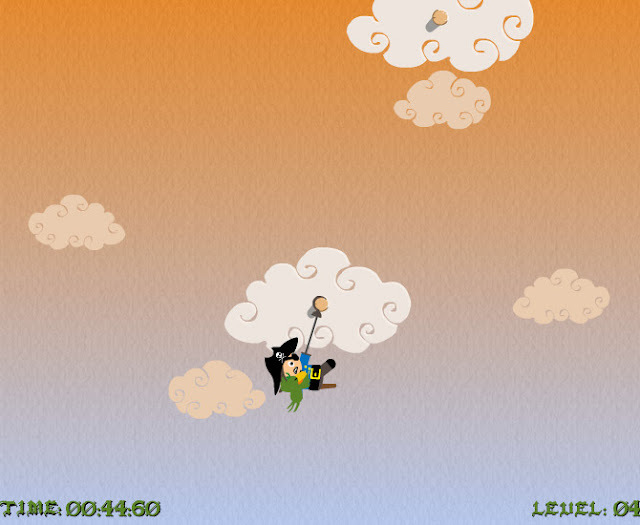 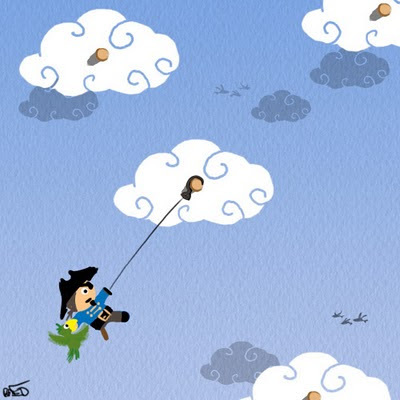 Captain Skyro: The Cloud Climber was the first side project by Dan and myself. 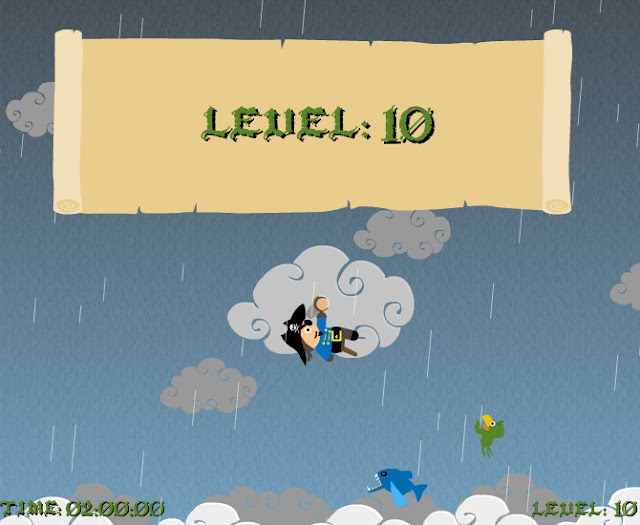 I handled the graphics and animation while Dan built the physics and game logic . 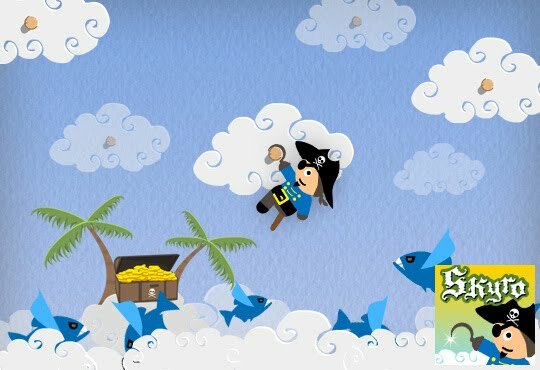 The project was built with the MochiAds Rockstar competition in mind, and start to finish it took a little over a month. We played around different unique game engines and we really like the drag and elastic release game play. A month later and results were in and we had won 1st place in the judges votes. 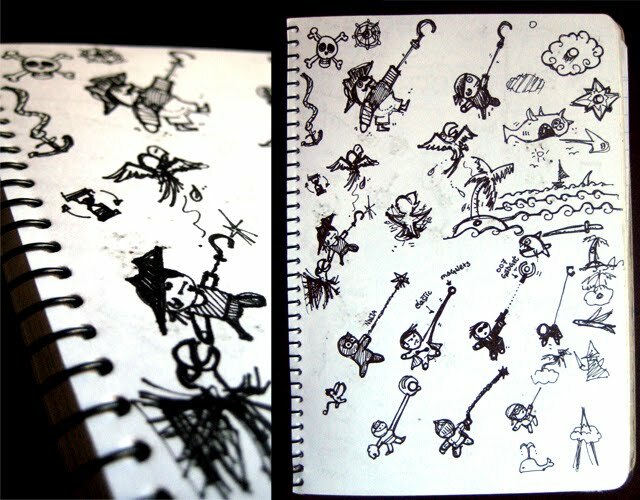 The sketches above show my process of sketching little drawings to quickly try different options of what could work in game. 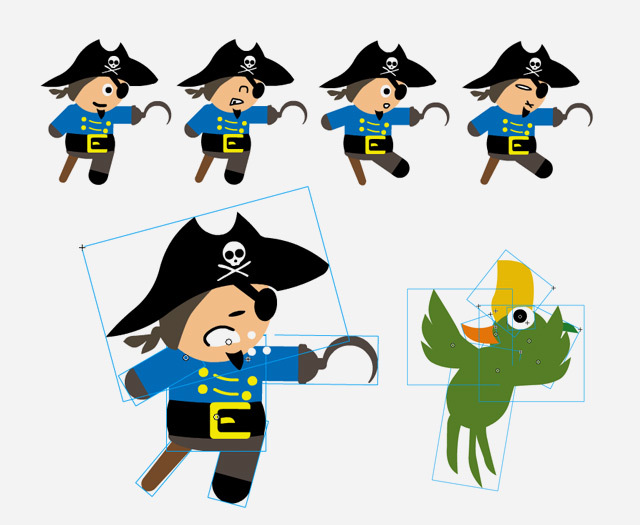 Once I'm happy with the general art direction of the main game screen, then it's a matter of designing for the other screens with different environments.